Those who live and vacation in Sarasota, Fla., have long recognized Siesta Key Beach as a natural treasure. Now the rest of the world was let in on the secret when Dr. Stephen P. Leatherman, aka “Dr. 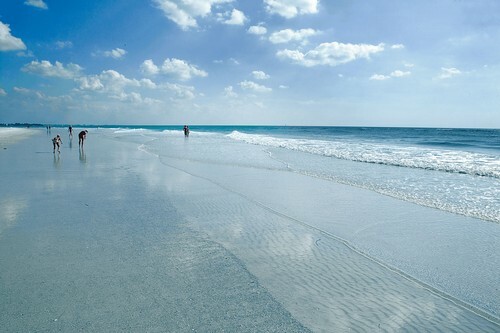 Beach,” named Siesta Key Beach “America’s Best Beach” as part of his annual list of America’s top 10 Beaches. Coastal expert Dr. Leatherman is Director of Florida International University’s Laboratory for Coastal Research. Siesta Key Beach, an eight-mile-long, crescent-shaped barrier island in the Gulf of Mexico, is known for its powdery white sand, which is comprised of 99 % pure quartz and stays relatively cool, no matter how high the temperature rises. The beautiful blue-colored water is clean and clear, making it so inviting to bathers and swimmers. The beach is hundreds of yards wide, attracting volleyball players and beachcombers as well as those who just want to find their place in the sun. Waves at Siesta Beach are normally measured in inches and the beach gradually slopes into the Gulf waters, making it a very safe area for children. Siesta Key Beach also attracts visitors and locals with its laid-back ambiance; a wide array of bars, restaurants and shops; and accommodations ranging from casual to luxurious. Will Siesta Key Beach rank # 1 next year? Not likely! Once a Beach makes it to the top spot, it is retired from consideration in future years, he said. Leatherman added that designation as the country's No. 1 Beach usually brings as much as a 20% bump in tourism. 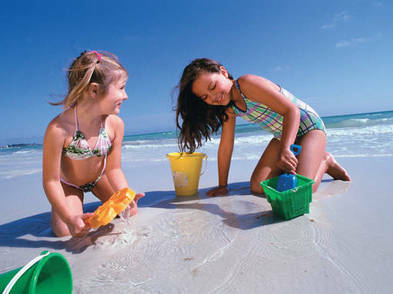 Sarasota and her string of eight islands are located along Southwest Florida’s Gulf Coast between Tampa and Ft. Myers. Sarasota and Her Islands is comprised of Sarasota, Longboat Key, Lido Key, St. Armands Key, Manasota Key, Siesta Key, Casey Key, Englewood, Nokomis, North Port, Osprey and Venice. In addition to sandy beaches, Sarasota and Her Islands also offer numerous cultural and ecological attractions. TO VIEW PROPERTIES ON SIESTA KEY CALL LINDA AND STAFFORD. THIS IS THE PLACE TO CALL HOME!